Toyota innovation and engineering come together to create a revolution in the electric forklift industry. The Toyota 7FB is the world's first electric forklift to combine the benefits of AC power with Toyota's exclusive System of Active StabilityTM (SAS). This system actually senses and counteracts instability to help reduce the risk of forklift tipovers. 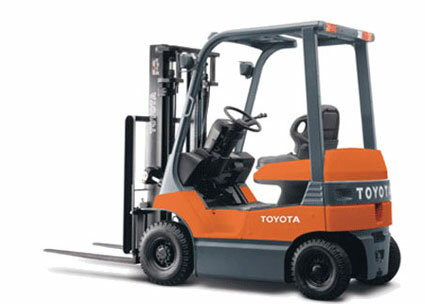 SAS combines with Toyota's reputation for quality, durability and dependability to raise standards for forklift safety and productivity. Three forms of regenerative braking help operators come to complete, confident stops: foot, coast and plug braking.